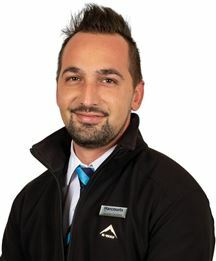 Charl is the proud manager of what he believes to be the best Rental Team in SA. You would have to look far to find someone as dedicated and passionate about Rentals. He loves sharing his knowledge and experience and adding value to his clients. He believes efficient communication is way more than half-the-battle-won. Also, business success is not only measured in financial results, but primarily in the growth and prosperity of each employee. He is married to his wife, Leachen and have two sons, Ben and Simeon. His hobbies include playing guitar in a band and surfing - which he needs to do way more often. About me. Like many people, I started from the bottom. Coming from a home that was never wealthy, I aspired for more. I grew up reading inspirational books such as ‘Rich Dad, Poor Dad’ by Robert Kiyosaki, which is one of my favourites. I realised that the only way to be self-sustainable is to have assets, so I became a self-made investor with a proud asset base. I’m always happy and eager to share the lessons I’ve learned and to teach people how they can also reach their greatest potential and become self-sustainable. Work hard; love people; always do the right thing; and be passionate in your work – that’s my philosphy in life. Here’s a bit of my background: I finished school in 1993 at Smuts Malan High School in Riebeeck West. Most of my high-school years were spent in boarding school, where I was taught to stand up for what you want in life. In 1994 I joined Correctional Services. During this period, I first pursued my passion for real estate, starting a job at Excelmor Properties in 1998, and studying many courses that would pull me closer to my ultimate dream – to do somehting I loved! I found this in real estate. It was with this company that I was taught the ins and outs of selling property. In 2000 I married my lovely wife, Lizl Ann, with whom I was blessed with 3 children – Liné, Liam and De’an. In 2003, I resigned from Excelmor to start my very own company out of my home, called Dunn Property Services and in 2016 I got the fantastic opportunity to buy shares in the global and dynamic Harcourts franchise, starting a new chapter under the name of Harcourts Dunn. I love what I do. And I revel in the chance to show my clients just how passionate I am about ensuring their real estate experience far exceeds all expectations. I started my career as a Police officer in 1990 and resigned in 2006 due to the fact that the Police went through so many changes. Since then I started different careers in sales and made my final decision to go into Real Estate. First I have joined the Rawson Property Group, then Keller Williams and finally I ended up at Harcourt’s Dunn Realty were I know it is going to be the last destination. The reason for believing that is because of the excellent way of training they give to meet my client’s expectations. I am great full towards all the careers and companies I had worked at in the past. At each one, I have learned something special and that is to be the person that I want to be. A blessing wherever I go. My unique selling proposition is to be the agent that will guide my clients towards a successful sale on their property. In the process, I will expose their properties towards all potential buyers and estate agents and do whatever it takes with integrity to get it sold. 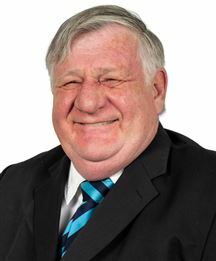 Bennie has 38 years of experience in the Banking and Property Industries in the Northern Suburbs of Cape Town. 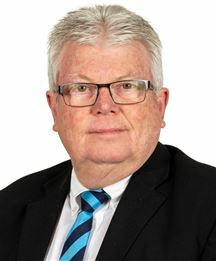 The first 23 years of his working life he spent with Boland Bank in the following fields: Credit Control Assessments Financing Property Valuation Before joining Harcouts Select, Bennie acted as principal of his own estate agency for 13 years and gained vast experience in the following fields: Property Valuations Residential Properties Commercial Properties Industrial Properties Development Properties Plot & Plan Projects Bennie joined Harcourts Select at the beginning of 2013 and with the help of our technology driven marketing network, has gone from strength to strength. Bennie is qualified with the NQF level 5 and the PDE level 5 examinations. 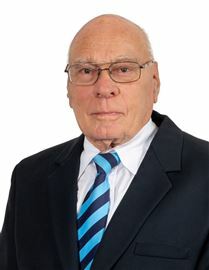 Bennie believes in the realistic valuation of a property, taking all factors into account. So, if you are a serious seller, Bennie can not only assist you in determining the real value of your property, but also in selling your property at a real market price. 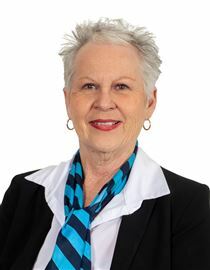 Cindy-Lou Stemmets' experience as a business owner coupled with her marketing experience as a sales/marketing manager of Retirement Villages, has given her the interpersonal skills needed in working with people in selling their homes. Cindy's understanding that securing the best outcome for your family takes a lot more than just making a sale. You need peace of mind, this comes with knowing that Cindy-Lou is with you every step of the way. She remains positive and committed to every task at hand and is disciplined in her work, this enables her to perform at her best. Cindy-Lou strives to create and maintain very good relationships with her clients. She wishes to walk along side you, and make this a stress free transition for you and your family. 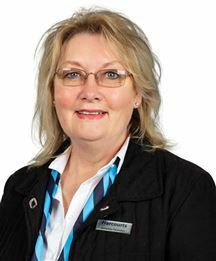 At Harcourts the continued up to date training gives Cindy-Lou the edge that helps her interpret the market and provide the best service possible. 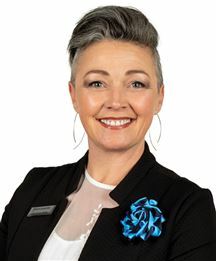 Harcourts high standard of service excellence and ethics as well as Cindy-Lous' personal experience in formulating a plan to achieve the desired goal, is the difference between her and any other agent operating in your area. In an increasingly fast-paced world, Cobus believes that the fundamentals of honesty and integrity are still very important. Cobus will combine world-renowned technology, training, systems and his knowledge and experience to give you the advice you need to make an informed beneficial decision. Cobus wants to empower you to make the best decision in all things real estate - from selling and buying property or even starting a career as a real estate agent. 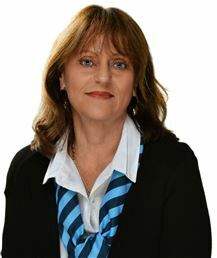 Elmarie joined the Real Estate Industry in 2010. Prior to this, she worked at Ditasa training academy for Estate agents. At Ditasa, Elmarie furthered her education by completing the NQF4 training syllabus. 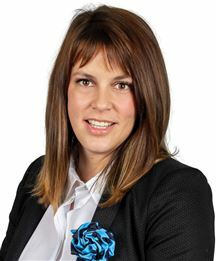 Elmarie started working at Burgun Real Estate in administration as well as a rental consultant; where she established her portfolio and contacts. During 2013, Elmarie joined Chass Everitt where she worked in administration and furthered her career as Intern sales consultant. 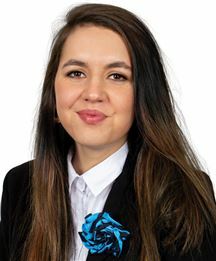 2015 - Elmarie joined Harcourt Select (now Harcourts Dunn) to further her education as Intern estate agent where she wrote her final exam and became a property consultant. Who is Elmarie ? 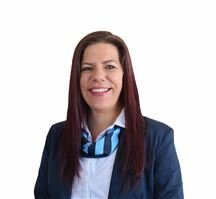 She is a trained Professional Property Practitioner who is friendly, hardworking and would go a extra mile to sell your property! Elmarie will make sure you get the property you set your heart on. 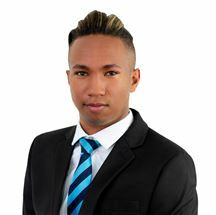 Name: Stephanus Mollentze Current stats - More than R120 000 000.00 total value property sales. I matriculated in 1985 from High school Brackenfell. I joined the South African Police services and worked at the VIP unit in Pretoria for two years before transferring back to Cape Town for another year in the VIP unit. What I did there is confidential. I was always very curious about technology so after my SAP service, I entered the private sector and started working as a trainee computer technician. I guess I was good because within six months from start, I was recruited from Computer Company to Computer Company for the next few years until I landed as the IT Co-ordinator for a Group 5 company. I was one of the first 50 people in South Africa that qualified as an MSCE on NT4 and subsequently joined the largest computer firm in South Africa. After a few years as a Support specialist for the Nedcor group, I left, got married and travelled to work in London UK. I spend three years in the UK doing various things, mostly travelling and seeing the sites. When I returned, it felt like everything changed and decided to open up my own computer company. One of my clients was the Rawson group where I was part of installing computer systems and internet connectivity. One day, a certain principal mentioned that if I worked as hard in the property field as I did in the computer field, I would increase my income threefold. As someone that eagerly accepts a challenge, I swiftly qualified as a full agent and joined his firm. I started as an agent with Rawson Properties back in 2005 and achieved a level of success I needed at that time. 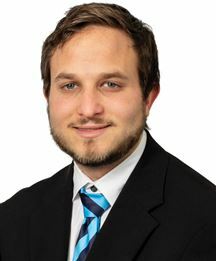 After one year, I moved to Dickson Real Estate in Kraaifontein where I worked for two years and achieved accolades on various occasions for achieving various sales targets. After two years I moved to Perma Trust to further my career options. 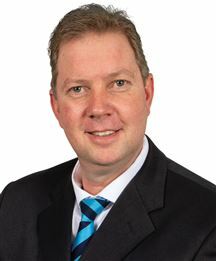 I started my own Real Estate firm named Kraaifontein Properties in 2010 with my partner John Brandsen and became an established brand name in the Kraaifontein area. After achieving all targets we set for ourselves, we purchased our own business premises in 2011 to offer better service to my loyal customers. We achieved a level of success that was unheard of and decided, in order to expand our business; we needed to join a big brand that offers the same values as we offered. On 01 April 2014, we joined the most successful franchise in South Africa. As Harcourts Cape Gate we want to improve our footprint in the Northern Suburbs and grow from strength to strength. Now the real test will be to see just how successful the Harcourts Cape Gate Brand will become over the next few years. Join me and be part of my success. I am a fully qualified Master Practitioner in Real Estate with 12 years’ experience in the industry. I am backed by a globally-acclaimed real estate group with all the resources to ensure I get the best results in the quickest time. Whether you’re buying or selling, give me a call. 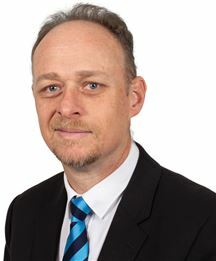 After a career spanning more than 20 years in the corporate environment, I joined the real estate industry in 2006 and started my own agency after completing my Certificate for Estate Agents at the University of Cape Town. I found the whole experience (apart from the Recession) quite fulfilling, especially the personal inter-actions with my clients. My first encounter with Harcourts Real Estate was in 2012 and it was quite an eye opener, as I was immensely impressed by their Professionalism and Core Values. Having been fortunate enough to travel extensively (both Nationally & Internationally), I found Zevenwacht - Kuils River to be the perfect place to settle down with my family. The foothills of the Stellenbosch Wine Route has so much to offer – hiking, fishing, wine tasting – all while you are still within 25 minutes of the Cape Town CBD. I realise & appreciate how lucky we are to be living in one of Cape Town’s most beautiful suburbs, and would gladly share my enthusiasm & knowledge of Kuils River with you. 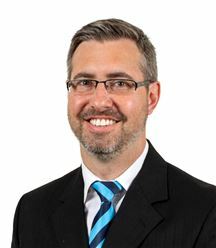 After graduating with an honours degree in economic sciences from the University of Stellenbosch, I commenced my career in the actuarial notarial department of a listed South African assurance company. I then joined Naspers as a marketing manager, and later held a similar position in the South African fruit industry, before joining the Foreign Trade Directorate of the Department of Trade and Industry. Three years later I was transferred to The Hague in the Netherlands as Economic Counsellor. I spent 7 years in the Netherlands, where I managed the South African Foreign Trade Office at the South African Embassy. I returned to South Africa in 1998, and was offered a position as Commercial Banker in the Corporate Division of one of the 4 major South African banks. After 12 years in Corporate Banking, I decided to pursue other interests, and became a partner in a REMAX estate agency as Broker/Owner for 5 years. I subsequently joined MSP Developments as Development Sales Executive, specialising in the marketing and sales of their new developments in the Northern Suburbs of Cape Town. I also gained extensive experience in the marketing and sales of retirement developments. With my extensive financial, marketing and business experience, I look forward to provide a professional service and to add value to both buyers and sellers in their property ventures. In 2010 I opened my own Real Estate firm with my Business Partner Fanie Mollentze and became an established brand name in the Kraaifontein area. After achieving all targets we have set ourselves, we decided to expand. Part of this expansion was to purchase our own business premises in 2011 to offer a better service to our loyal customers. The second part of the expansion was to join a big brand that offered the same values that we were used to. So, on the 01 April 2014, we joined the most technologically innovative franchise brand in South Africa. (HARCOURTS). Harcourts Cape Gate opened it’s doors to the public and has been serving our community under this brand since. In doing so we have been able to extend ourselves to the greater Northern Suburbs and became an established name in Durbanville, Brackenfell and Kraaifontein. In 2019 we sold our business to Harcourts Dunn. As an agency with more than 45 agents, we are well positioned to serve our clients across the Northern Suburbs with all their property requirements. Our personal promise to you is being accountable. Our values are loyalty and we treasure relationships. A little info on who we are, the Mother and Son team, for we believe Two works better than One. Karen was born in 1962, got married in 1979, has 3 children. Jacques was born in 1985, matriculated in 2003. Jacques was in Media Marketing for 12 years, where he was Media-Planner, Strategist, and Buyer at different times and Companies. 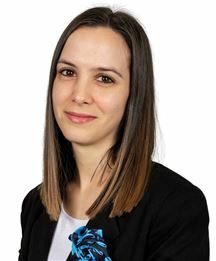 Karen joined Harcourts on the 17th of July 2017 and Jacques shortly thereafter decided to join his mother on the 1st of November 2017 and also got married in June 2018. Karen is also the Author of 2 Books, Kraaifontein Stories 1 and 2. Here she recorded the history of the Town and the great memories that people wanted to share. This she did over a period of 4 years, more than 400 personal interviews and is currently working on Book 3 to be launched in December 2019. All of this is part of a love for history and having relationships with people. Joining Harcourts was their best career move ever. They are team players and love the Culture of Better in Blue. The Harcourts Promise of People First, Being Courageous, Doing the Right Thing, Fun and Laughter. 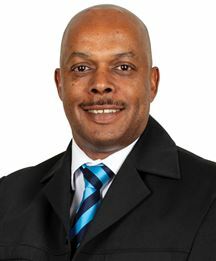 Keith started his career as an estate agent in 1991 at Neville Sleigh Estates in Kraaifontein, after a long career at Transnet. Keith was prompted by a friend to start a career as an estate agent and has never looked back since. He has been there since the interest rates were seven percent to twenty seven percent and is still there to help potential buyers and sellers. 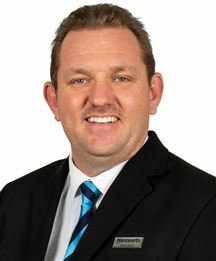 After four years in the industry, Keith became the new owner of Neville Sleigh Estates and in 2001 changed the name to Keilin Properties when he also started buying, renovating and selling homes. In November 2013 Keith started his career at Harcourts Select, where he feels the name speaks for itself. 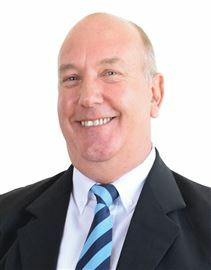 Keith is here to help all potential clients with his 23 years’ worth of expertise in the business. 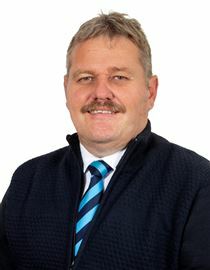 One of Keith’s other passions in life is the Tygerberg raceway and has been actively involved since 1995 as Scrutineer. Whether this is your first home or your tenth, let Keith help you buy your eleventh. 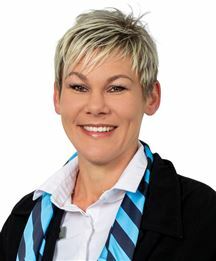 Leigh De Wet is a seasoned marketer, promoting and selling properties for more than 18 years. 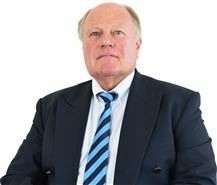 He has vast experience in new developments, residential property sales and negotiating. 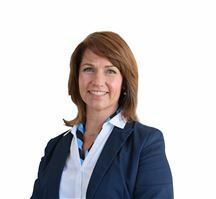 Leigh has personally sold over 200 residential homes and 300 new development units. 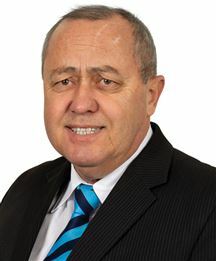 He has successfully negotiated various forms of property transactions, including sectional title, full title, vacant land commercial properties and Australian property since 2002. 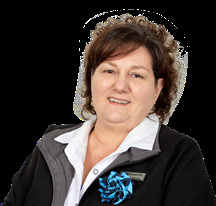 Leigh is registered with the EAAB since 2002 and has completed the required NQF 5 in real estate. Leigh holds a BA (Hons) degree in Business Management from the University of Stellenbosch and Lincoln University. Today Leigh remains an enthusiastic, qualified, full status real estate agent who has the ability and expertise to apply his experience and real estate tools to assist clients in buying and selling homes. He works well with both buyers and sellers under any market condition. Leigh believes in the approach of “consultative marketing", which allows him to provide the best advice to his clients, without applying pressure to either party. In 2014, Leigh joined Harcourt's Dunn, thereby allowing him to service his clients with superior IT tools and customer service. Leigh has built his business model on repeat and referrals, with client relationships extending for more than 18 years in many cases. Leigh is highly selective in who chooses to provide real estate services too and goes by the motto of closing all transactions with a win-win-win objective. 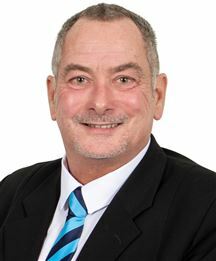 Leigh believes that to ensure the longevity of his services, all parties must derive added value from the sales transaction and the services he provides. 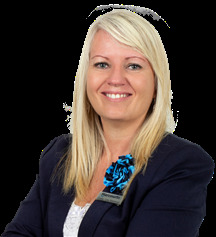 Matching prospective buyers with willing sellers to saleable property is what Leigh does best. My passion is property and I have been actively involved in this industry for the last 27 years operating in Kuils River. 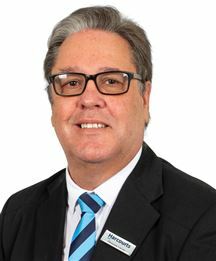 My track record shows that my objective and passion is to obtain the highest price for your home in the shortest amount of time whilst providing you with world-class service - with Harcourts as my team leader. I have the knowledge, experience, passion and the technology skills to make your home stand out amongst the rest. 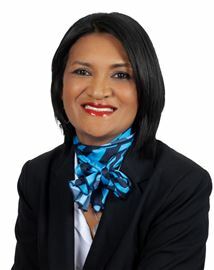 ACHIEVEMENTS: While working at ABSA and De Huizemark, I received numerous certificates for the bestselling agent. I sold a total of 603 properties during the time of owning my own agency since 1994. In 2008 I completed my RPL and successfully achieved my NQF 4 qualification. Harcourts Regional Awards and Recognition: Top Agent 2013 Top Agent - Commission 2013 & 2014 Top Agent 3rd Units sold 2016 Top Agent 2nd - Commission registered 2016 6th Top agent Sept 2017 Western Cape South Africa: Top 4th in SA for May 2015 Commission 34th in SA for 2014 25th in SA for 2015 22nd in SA for 2016 I also received a Diamond150 pin for career achievements from Harcourts South Africa. I sold over 200 million worth of property in Kuils River area. Promise To Buyers And Sellers: I will commit to offering my best possible service to achieve the best results possible and with the Harcourts Promise in place, my clients always come first. My communication with clients is the best characteristic of my service and my track record with Harcourts is your assurance. Testimonials; "Weereens baie dankie vir jou puik diens met nie net die koop van ons nuwe huis nie, maar ook die verkoop van ons vorige huis – definitiewe rekord tyd! Jou kennis, toewyding, vriendelike natuur en positiewe energie maak van jou ‘n uitstekende agent en ons sal jou in ‘n oogwink aanbeveel aan ander. Jy maak huis (ver) koop ‘n plesier. Beste wense! 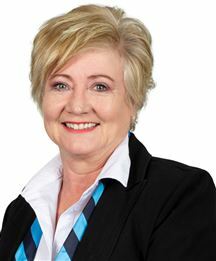 Monique Marais"
Linda has a combined exposure to the Property Industry of +- 25 years, since 1982 as an estate agent, and later Branch Manager. Previously, being Secretary of the 1st Valuation Court, Cape Town, for 5 years, afforded much insight into the value systems of property in the City. 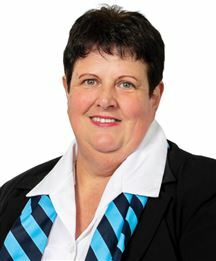 She also spent 12 years at an established Conveyancing Firm, gaining a well grounded understanding of the legal processes of property transactions, and has worked in the Greater Welgemoed and surrounds with Trudi Graser Estates for the past 6 years, before joining Harcourts Select, where Property Professionalism will continue to be her focus. QUALIFICATIONS 1984 saw her amongst the top four of the first batch of estate agents to qualify in the Institute of Estate Agents exam. She also completed the CRS course (Certificate for Residential Specialists) during 1989, is NQF level 4 competent, qualified by the PDE level 4 exam, and is a registered Professional Practitioner, Real Estate. 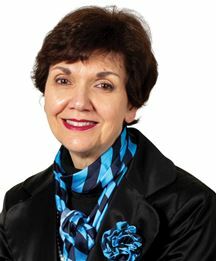 EXPERIENCE As Secretary of the Valuation Court, serving with an ex chief magistrate of Cape Town, Linda developed a firm comprehension of the base effects on property values, as contended on a daily basis from a legal and market related point of view, between the Valuation Court members and property owners, following the provincial General Valuation. 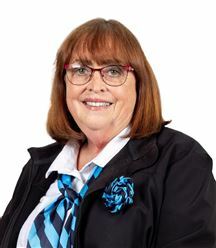 She coordinated the Cape Network Listings group during 1996-1997, facilitating co-operation between agents, benefitting sellers, buyers and agents alike. For 10 years, she worked in a conveyancing environment dealing with sellers, buyers, bank officials, bond originators and estate agents across the spectrum of real estate. 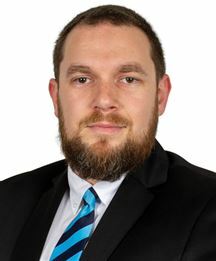 Routine included many a conflict resolution, advising clients and agents contractually, building in depth knowledge and understanding of Property matters. 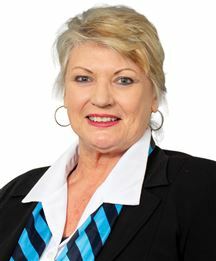 Linda furthermore identifies intensely with the Business and Emotions involved with property transactions from an Investor, Speculator and a Home Owner point of view, having personal experience and empathy in all these aspects, and the management thereof. She manages several rental properties, and is familiar with contractual obligations on both sales and rentals. Recognizing potential positive cash flow renovation opportunities is also not foreign to her, and it is always a pleasure to give some guidelines to her clients. 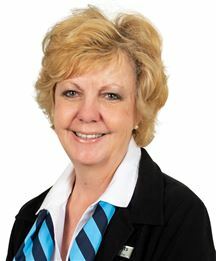 MEMBERSHIPS Linda became a member of the Institute of Estate Agents in 1983, where she is able to avail herself of regular updates pertinent to the Industry, whilst pursuing Continuous Professional Development. It will be a great pleasure to commit to share with you this wealth of knowledge and professionalism in serving your property needs in a valued working relationship. 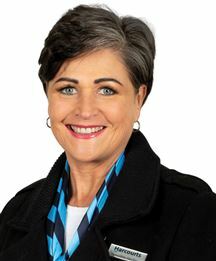 Melinda has been part of the community of the Northern Suburbs for the past 19 years. Melinda has many years experience in marketing and later consulting. Her caring nature gives her the ability to identify her clients' needs and meeting each one of them, is her challenge. Her passion for people and problem solving skills were put to the test when she co-owned a franchise business in the hospitality industry. She is service orientated and focuses on client satisfaction. Seeing people uplifted and happy, is her biggest reward. Integrity and adhering to Value and Believe Systems drives her to succeed, building relationships and having fun along the way. Her approach to business is best described by Jay Danzie "Your smile is your logo, your personality is your business card, how you leave others feeling after an experience with you becomes your trademark." Rosetta is a diligent and hard-working person who values interpersonal relationships and her place within her community. Her proven experience in enhancing the lives of others in her previous career of upliftment projects extends to her commitment to those seeking assistance with buying or selling property. 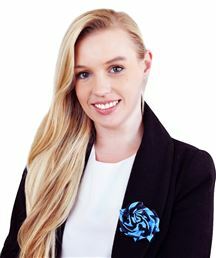 She is focused, with total commitment to promoting the best interest of her clients, and is supported by the Harcourts expertise and resources in this specialised field. Rosetta hails from the Karoo where she matriculated, where after she studied for a diploma in Arts at Pretoria Technikon. This creative energy merges well with her people-skills, and, combined with her ability to find practical solutions when challenges emerge, enables her to make a mark in the fields of sales and marketing over the past three decades. 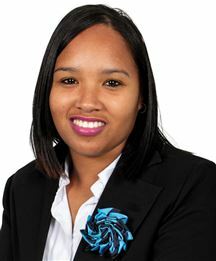 She completed the Business Development Programme at the University of Pretoria and as an entrepreneur in 2007, founded a non-profit organisation with the focus on entrepreneur development for impoverished women in rural KwaZulu-Natal. The organisation is still functioning today. She has formed three international fundraising charities in the UK, USA and Canada to support the entrepreneurial work in South Africa. Rosetta has been awarded a number of accolades including the IPM (Institute of People Management) Empowerment Award in 2011, has been named a Remarkable Woman at the Claudia Chan S.H.E Summit in June 2012 in New York, and featured in an article in the Huffington Post. She was a speaker at the “A Celebration of Women” Foundation in Toronto and at the “Women Alive” gathering in New York. Back home she has been guest speaker at Women’s Day fundraising events. As someone who cares about her community, she joined Rotary in 2010 and in 2015 was the President of the Rotary Club of Pietermaritzburg. She recently moved to Cape Town to be closer to her children. Qualification: I have a NQF level 4 certificate. 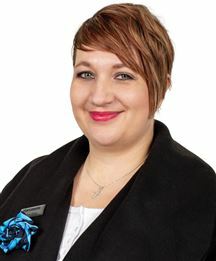 Why choose me: I'm very passionate about property and strives to provide a professional and friendly service at all times. For me its all about fulfilling my clients dreams and making their experience enjoyable, memorable and hassle free when buying or selling. If you want a dedicated, honest and committed agent, it will be a privilege to assist you. 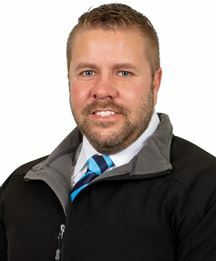 Having grown up in Kenridge, Durbanville - Steven has an exceptional knowledge of the area he specializes in. 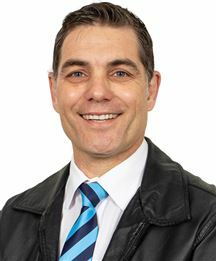 Steven attended Kenridge Primary School and then Fairmont High School. 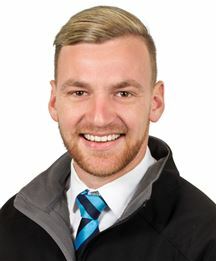 Now with over 10 years sales experience in various industries, Steven is determined to become the most well known and reliable real estate agent in Durbanville CBD and surroundings. 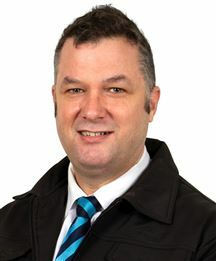 For all your property needs please feel free to contact him, he is ALWAYS willing to help wherever and however he can! 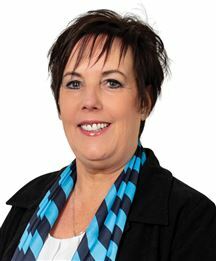 Susan is a dedicated, people orientated Property Consultant that has been in the industry since 1981. With her being in the people's business, for both buyers and sellers, she can provide an outstanding level of service with a high level of integrity. 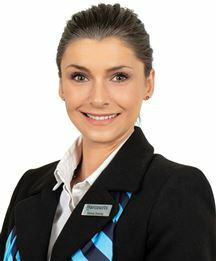 She has a wealth of experience as new property developments sales agent as well as the residential resale market. She treats others the same way she would like to be treated and is truly a powerful asset to the ever growing Harcourts Select team. 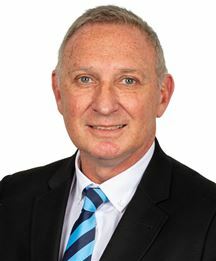 Trevor joined the Harcourts Dunn team after a successful career in marketing and advertising, including 16 years in Dubai working on international brands such as HSBC, Emirates Airline and Johnson & Johnson. 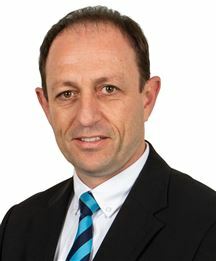 His extensive marketing expertise and client servicing experience made him a perfect fit for the Harcourts Dunn team and he prides himself on delivering honesty, integrity and service excellence. 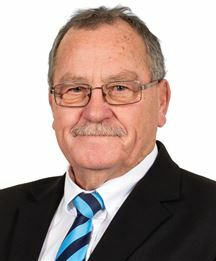 Trevor discovered his love for property way back in 1987 when he purchased his first home and is a firm believer in property as a means of creating long-term wealth, having bought and sold numerous properties over the years. 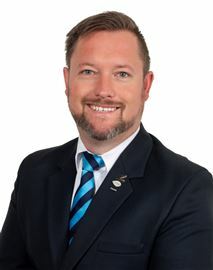 He understands that selling or buying a home can be unsettling at times and is dedicated to giving you the best possible property experience, while living the Harcourts values of putting people first, doing the right thing, being courageous while still enjoying a good dose of fun and laughter. Trevor has been married to Judy for 19 years and has a 6-year old daughter, Erin. Wilna was born and grew up in Citrusdal on their own farm. After finishing high school in Citrusdal she moved to Cape Town where she worked for the South African Police for 23 years. 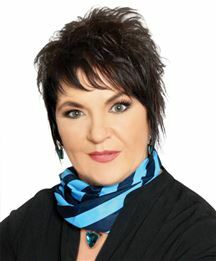 In 1978 she married Johan Pretorius, who is also in the Property Industry, and has two sons (Matthys and Wimpie). They love spending time with their family and to entertain friends at their home. In 1999 she decided to focus on the Property Industry. She started as an agent at Propmark in Goodwood. After her training for one year, she worked for another two years at Propmark. After several years at Build A Way, establishing their property site, she decided to start her own real estate agency called Wilna Properties in 2006. 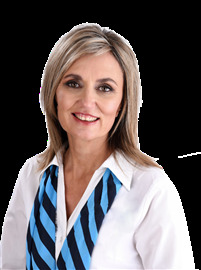 Due to extensive experience and working at several real estate companies, she built up solid relationships with other Agents in the Bellville region that helped immensely in establishing her business. She completed her National Certificate in real Estate (NQF level 5) in 2011. 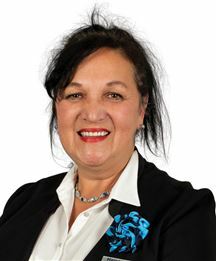 Wilna joined the Harcourts Select family in 2014 and is proud to be part of the Team with its unique people, filled with high values and standards. 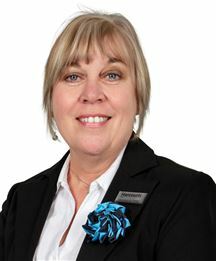 “Harcourts’ world-renowned technology has put me on a different level as realtor”. 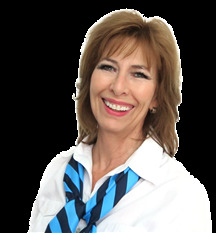 Wilna has a passion for selling property and being loyal and honest to her customers. She covers the Northern Suburbs of Cape Town specifically Bellville, Durbanville, Brackenfell and Kraaifontein areas. Should you wish to invest in Property, call Wilna. She’s just a call away. 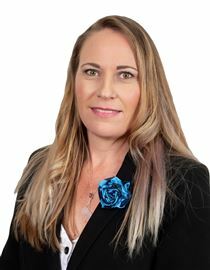 She started in the property industry as an estate agent in 1999 at Propmark in Goodwood. After also spending a couple of years selling property for Build A Way, a property developer, she decided to start her own business as Wilna Properties in 2006. 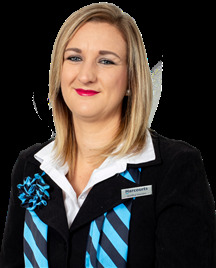 Wilna joined Harcourts Select in 2014 and is proud to be part of Team Harcourts. Should you wish to experience hassle-free service, be sure that Wilna will show you the way. 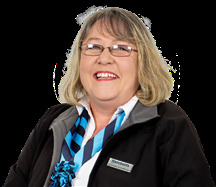 Grezelda spent time touring Germany, Hamburg and Munchen as an Au Pair for two years before entering the Tourism Industry as a bus hostess for InterCape. She spent eighteen years as a Marketing Manager in the Timeshare Industry and owned her own company for two years. 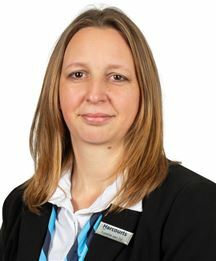 She accepted a new challenge in the Rental Industry as a Contracts Manager at Rentalsdotcom and took over as Maintenance Manager from January 2015. She believes in prompt efficient service and is a valued member of the Rentalsdotcom team. Grezelda is also a loving single mother to her 18 year old son and overall caring person that will brighten your day. My passion for Real Estate started off by chance. My family and I relocated to the Wine Lands in 2007, I was unemployed and eager to find a job and become “independent”. We went to view a rental property through Re/Max in Wellington, we got speaking to the principal and she found out my mum worked in real estate previously, she immediately offered my mum a position as she needed an assistant. Mum was not too keen to work so suggested she take me on as her assistant. The very next Monday I started off temping at Re/Max Country Living. From doing general office work I gradually moved up to becoming the Personal Assistant. A few years later the company started taking on rental properties as well, business was booming. Still only the two of us in the franchise I had to quickly learn to do viewings, listings and also the administration of both the sales and rentals. It was really the highlight of my life at that moment. I started to see myself growing in the industry, my passion for helping people achieve their goal, of either buying or renting a home begun at this point. I considered studying towards becoming a qualified Estate Agent but there were a few challenges along the way. I decided to leave the small town and come to the big city. I got a position as an accounts assistant in an aviation company in Cape Town. I worked there for 6 years, got married and had a son in that time. The commute to Cape Town became unbearable and in 2017 I decided I needed to look for a position closer to home. After working in accounts for a few years I realised that it’s not something I wanted to do for the rest of my life. I begun brain storming and thinking what it is that I am passionate about, what do I enjoy doing? That’s when I realised how much I enjoyed working in Real Estate, the interaction with people, helping people, seeing them satisfied that’s my joy! I briefly went back to Re/Max part time and I managed to rope my husband in. Unfortunately it did not work out for me, but it opened up the door to where I am today. 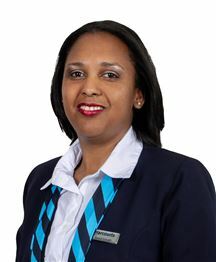 My husband stumbled upon the advert for a Receptionist/Rental agent at Harcourts Cape Gate. I was reluctant to apply, but I am so glad I did. I love being a part of the Harcourts brand/family, I have built wonderful relationships with my Landlords, tenants and colleagues alike. My goal is to continue to grow within the company and to continue adding value to the company as well as to keep building those relationships with our clients and adding value to their lives. To me it’s not just about closing a deal or signing a contract, it’s about helping you meet your needs and achieving your dreams. Love a Bushveld Lodge feel? R1 695 000. Neat as a pin. Oh so homely in De Bron! Calling all 1st Time Buyers!!! Brackenfell - Neat as a pin!